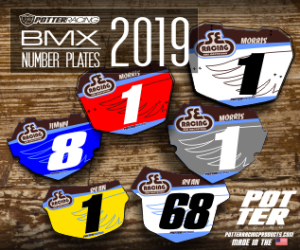 While it is arguable whether our sport was born in 1969 or the very early 70's, the one undeniable thing is that BMX Racing all came together in Southern California. Some of the earliest documentation of kids on modified 20" Schwinn Stingray bicycles racing around a vacant lot date back to 1972. Unbeknownst to these kids, who were only trying to imitate their motorcycle racing idols, they created a sport of their very own. Chances are, kids all around the country were doing the same thing in dirt lots of their own; converting their Schwinn Stingrays to MX machines. This same scene of youthful energy and American resourcefulness could have possibly been going on in Nebraska, Florida, Texas or New Jersey. But it was a particular California gathering of nameless pioneers who were first recorded on film by Bruce Brown`s cameras for the opening credits of his motorcycle film, ON ANY SUNDAY. In July of 1971, those first 4 minutes and 7 seconds of kids catchin' air and wheelie'ing forever down the street, would spread the BMX word like a wildfire. There was no stopping it now. A new sport created by kids for kids was born. 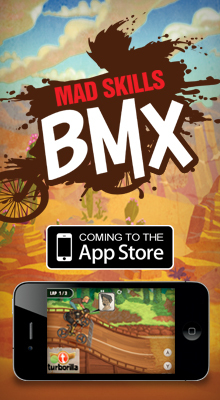 At first, they called it Pedal-cross, but eventually they would settle on Bicycle Motocross.BMX, for short. Over one short summer, BMX grabbed the attention of thousands of kids across the United States. Boys and girls on their modified bicycles were seen jamming through the berms and jumps of any available dirt lot they could find. Imitation lead to innovation and quickly the kids were performing tricks and "getting air" as organized races and tracks began popping up all over. 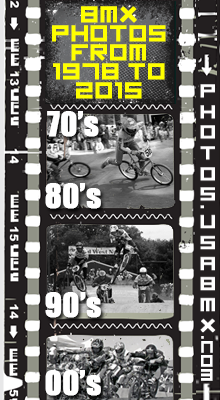 By 1977, pockets of loosely organized BMX races dotted the nation from coast to coast. It was time for a reliable national sanctioning body and from out of this need; the AMERICAN BICYCLE ASSOCIATION (ABA) was created. 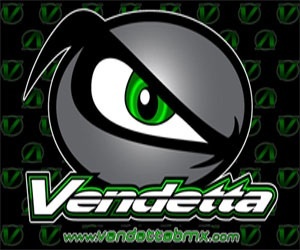 In 2008, American BMX racers who grew up racing at both ABA and NBL tracks went on to win three Olympic medals in Beijing and racked up nine BMX World Cup (Supercross) events; more than any other country. With the inclusion of BMX Racing as an Olympic sport, USA Cycling and the U.S. Olympic committee have collaborated with the ABA, and together built an Amateur and Elite track at the Olympic Training Center in Chula Vista, CA. In 2011, the sport of BMX saw what could perhaps be the biggest change ever: the American Bicycle Association bought the remaining assets of the struggling National Bicycle League (NBL), bringing all of its tracks and members aboard this big BMX bus. Now, united under one banner, USA BMX was born.